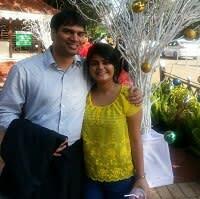 A lot of us knew Shobhit Srivastava as a fun loving guy in the Civil Engineering department at IIT Kanpur. He was someone who would easily play a prank and had the humor to take one. He grew up in Lucknow and spent 4 wonderful years in IIT Kanpur from 2003 to 2007. Since graduation, he had been busy working for Deutsche Bank, Credit Suisse, and Trafigura. He recently moved to Bengaluru to work for Goldman Sachs. On the personal front, Shobhit was the only son of Mr. I. S. Srivastava and Mrs. Lata Srivastava. 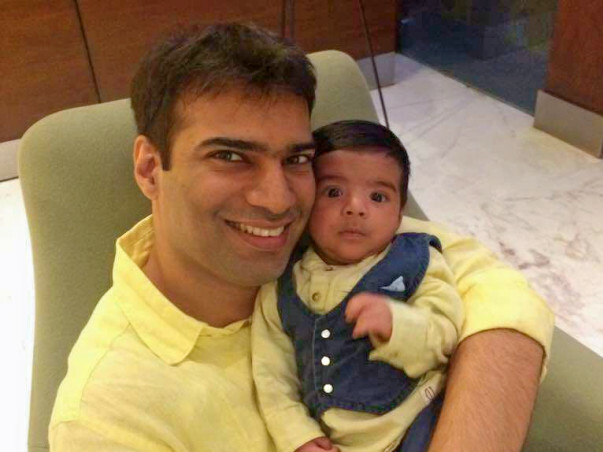 He married Ms. Nupur Dayal on February 14, 2013, and were gifted with a cute little boy Nilay in May 2017. On October 22, 2017, Shobhit and his wife, Nupur Dayal, went for a regular workout to the gym. He was doing a normal warm-up when he had a massive cardiac arrest and collapsed immediately, leading to a head injury. He was rushed to the Sakra World Hospital, which is less than 5 minutes from their place. Shobhit had no pulse when he reached the hospital and it took doctors about 45 minutes to revive him. Subsequently, he was operated and stents were placed in his heart. 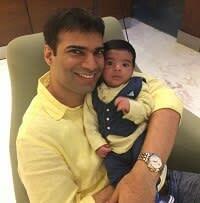 The CT scan showed no internal bleeding on Day 1 and Shobhit was responding to the treatment. However, on Day 2, bleeding started in the brain and emergency surgery was conducted. Slowly after that, the condition started worsening and his organs started to fail. Sadly, Shobhit left us and his loved ones in the wee hours of Wednesday, October 25, 2017. This untimely tragedy has taken an emotional and financial toll on the family. Both the emotional and the financial burden have been compounded because his father was diagnosed with throat cancer in 2015 and his treatment was being covered by Shobhit’s medical insurance, which is not available anymore. Shobhit’s father, Mr. I. S. Srivastava, has undergone chemotherapy in 2015-16 and had surgeries in Mumbai and Lucknow for the same. Although the cancer was cured in 2016, unfortunately, it recurred as a stage 4 cancer in 2017. Mr. Srivastava is currently undergoing chemotherapy in Bengaluru and is scheduled for another surgery. His vocal cords were removed in an earlier surgery and all the food he takes is in the liquid state through a pipe attached to his stomach. While none of us can fill the hole that this loss leaves in the lives of the family members, many of us want to support the family in any way we can. Conservative estimates of the cost of Mr. Srivastava’s treatment and Nilay’s education suggest that INR 50 lakh will tide the family over during these extremely challenging times. We ask you to contribute whatever you can towards this goal. Whatever is raised through this effort will reach the family. 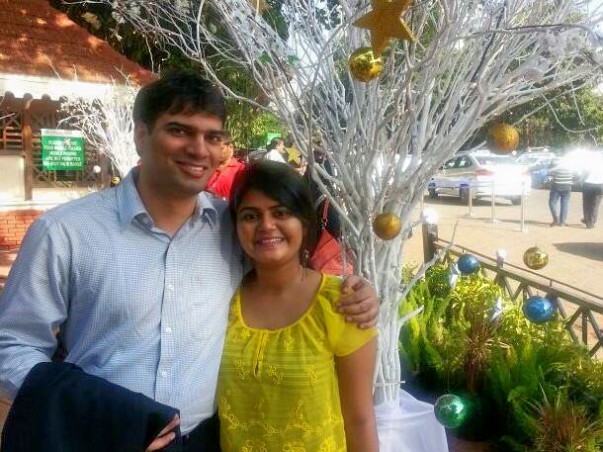 Friends in Bangalore have offered to help the family manage the funds so that they can be used for Nilay's education. Thank you, everyone,, who helped me in some or the other way. What I have lost is irreplaceable, I miss Shobhit every day, I cannot imagine my days without him but spending each day in his fond memories. The amount I have received will help me in granting the wish of my little son Nilay, wishes which his Dad would have made true. I am really grateful to all of you for your love and support. May God Bless the Family in Need! !